I wouldn't mind a nice gift basket with either food or bath products as a gift. 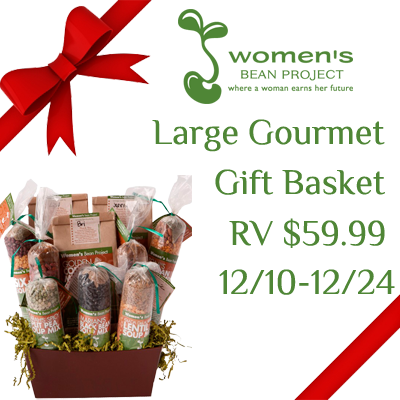 Do you like giving or receiving gift baskets? Share with me below for a chance to win! Sarah’s Spicy Split Pea Soup Mix, Marian’s Black Bean Soup Mix, Giada DiLaurentiis Lentil Soup Mix, Old Fashioned Chili Mix, Firehouse #10 Hot Chili Mix, Cindy’s Sinfully Chocolate Brownie Mix, Grammy’s Snickerdoodle Cookie Mix and Golden Cornbread Mix. I would share it with my daughter that lives near me. I would keep this for myself. I would enjoy trying out the products.